We had a fabulous time! The captain and crew (sorry but we can't remember names) did a fabulous job! Clean, efficient boat and great gear. Everything went smoothly from the time Sandra heard us mention Baja Anglers on the walkway, to fishing and getting the catch processed back at the dock. The sailfish for Larry 🐬was such a bonus and we couldn't be happier for this fabulous fish. Looking forward to seeing the pictures on the blog. The Cptn set a couple of drifts for Roosters but new techniques and struggles with line management played hell with us getting a hookup. Truly e citing seeing the Roosters chasing the teaser back to the boat and getting a chance to throw a fly to them. The local fly fishing beach trips in Cabo have been pretty good lately, nothing big but still lots of fun! 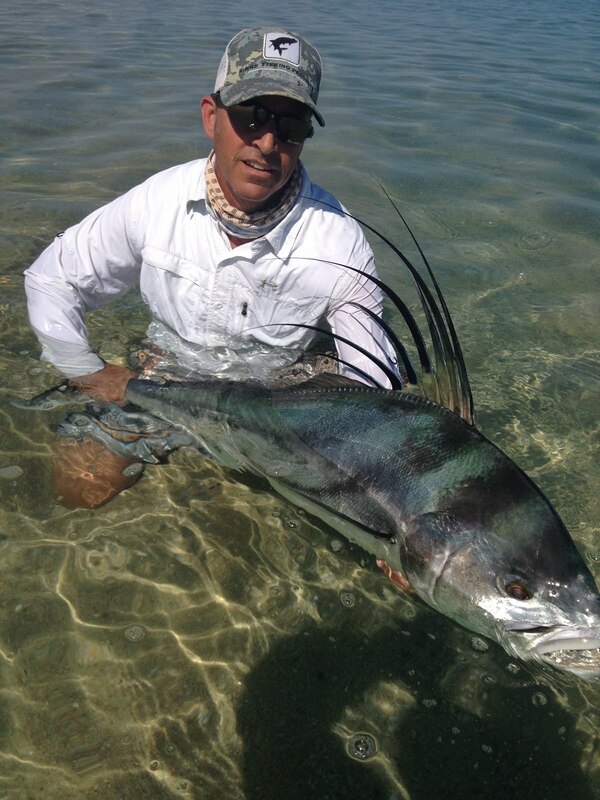 I include al the fly gear and flies and its a great way to spend your early am or pm in Cabo. Give me a shout at Cabogrant@me.com if you are interested. Will Jones took his family fishing one one day n killed it! They had lots of fun !! !